Kore Communications can install additional Wi-fi access points improving reception in every room of the house. Either directly to the ceiling/wall or to existing cabled wall plates. So many possible combinations to consider and lets face it the bundle modems provide by most telco these days are cheap and limited in range. 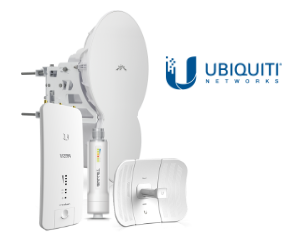 Kore Communications ustilises Ubiquity or Altai produts for the majority of installations. However customer supplied devices can also be installed. Wi-Fi access points extend your conection to your router/modem by creating a bridge commonlly by direct cable connection between the AP and modem/router. Access points come in several configurations but for the most part two basic forms off omni directional and directional are commonly used for installations. Omni direcional access points hang from a fixed position namely the ceiling and transmitt and/or receive with a 360 deg beam antenna. Directionl access points have as the name implies a more defined beam and used where distance between the user and the modem is critical normally outside in the shed or back yard. Depending on your needs commercial grade access points may be installed to achieve a better result. Requirements for successful installation of your WIFI access points, you’ll need an existing data cable or a new one installed from your modem location to the desired coverage zone. Most commercial grade access points use POE(power over ethernet) as a power source which requires a power point to maintain the link. As part of the quoting process Kore Communications will cofirmed requirements and price accordingly. As stated most WIFI access point are installed on the ceiling, however depending on your space, they can be installed just about anywhere. Including walls, datapoints, in ceilings and on masts. Fixed price quotes available for larger jobs. -Help in the design and layout of your new system. -Find out about existing data cabling and type. Kore Communications has designed and implemented many significant best-practice copper and wireless network infrastructures for high-demand clients. Across all sectors, Kore Communications designs and implements significant best practice copper and wireless network infrastructures. For leading brands such as Times Microwave, Beldon, Clipsal, Krone, Altai, Ubiquity, Mars, Infinet, BridgeWave, Rukus, Cambian and Others. Our Data & Communications services are tailored to the individual customer’s circumstances and partnered with vendor experienced project teams and/or System Integrators to ensure all risks are mitigated and the most efficient and reliable infrastructure is achieved. Kore Communications is a company you can trust and is part of a network of system integrators and installers utilised to bring the any project to fruition. All technicians and contractors carry all appropriate electrical and Australian Communications and Media Authority qualifications, are extremely experienced in working in sensitive commercial or industrial environments and have a demonstrable record of trusted performance with critical data networks. Ensuring special care is taken to protect client equipment at all times and only use safe and compliant equipment to complete operations and take all necessary precautions to ensure the integrity of any client equipment or systems.